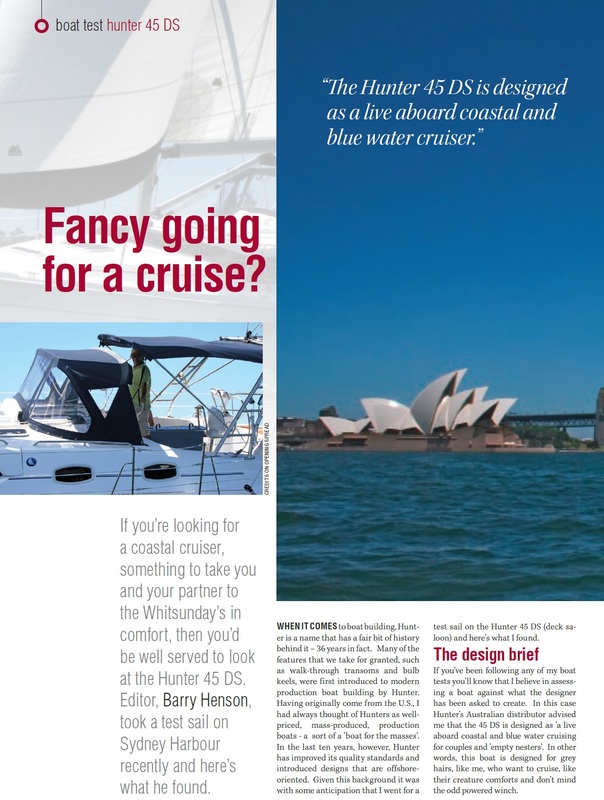 The Hunter 45DS has redefined the Deck Salon concept with the brightest and most open salon ever designed. 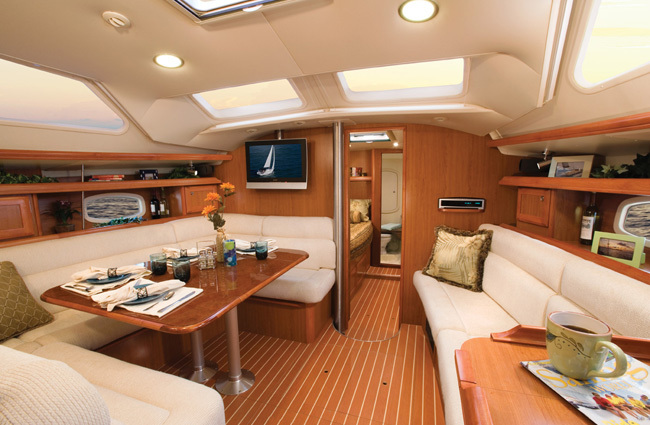 Oversized deck ports draw in huge volumes of natural light to complement the rich woodwork and airy floorplan. 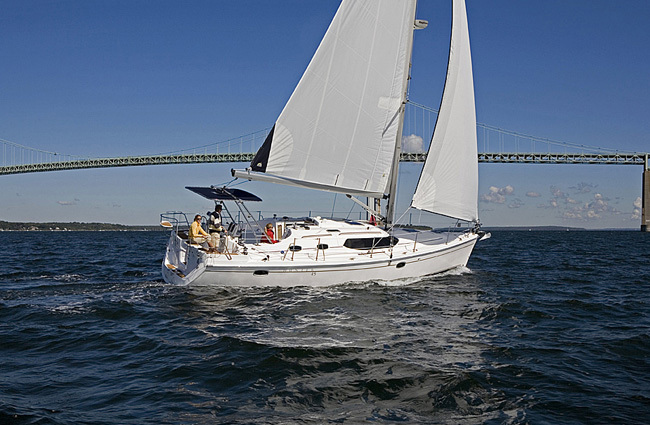 A wraparound windshield dominates the sleek and imposing exterior profile that announces it’s presence with authority in any harbor. 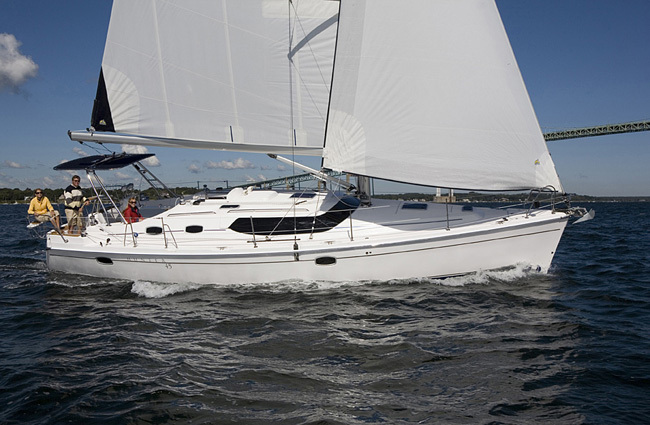 The hull is solidly constructed and shaped for lively performance and a smooth ride, even in rough sea conditions. 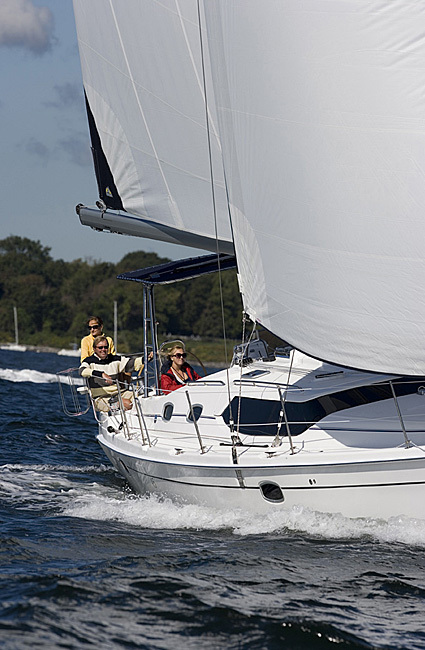 On deck, dual helm stations deliver the ultimate in comfort, control and visibility for the captain. 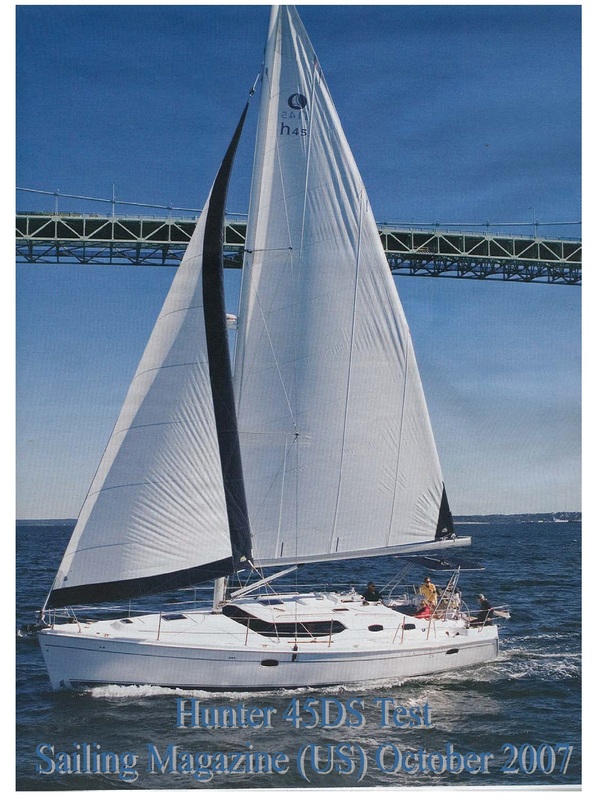 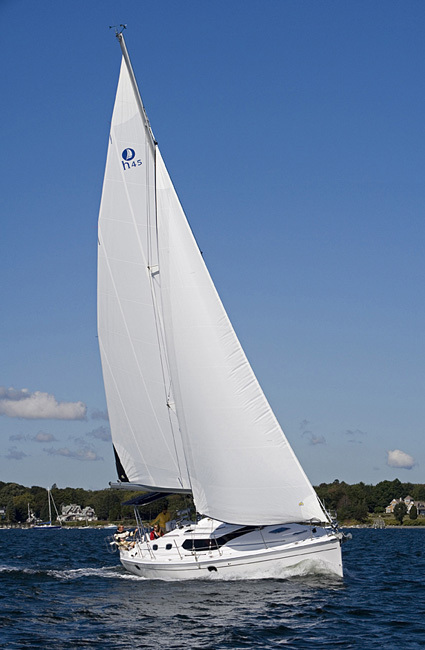 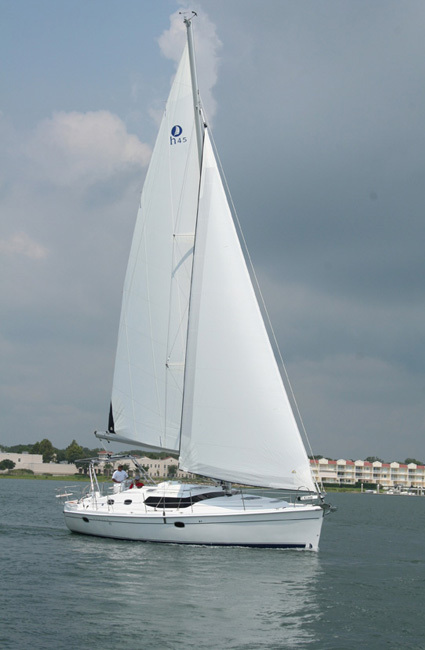 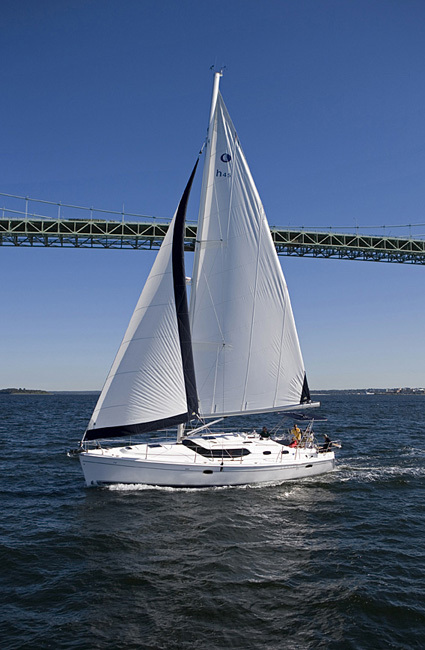 Hunter’s stainless steel Traveler Arch, B & R rig and a unique double-ended mainsheet system provide the crew with effortless sail handling. 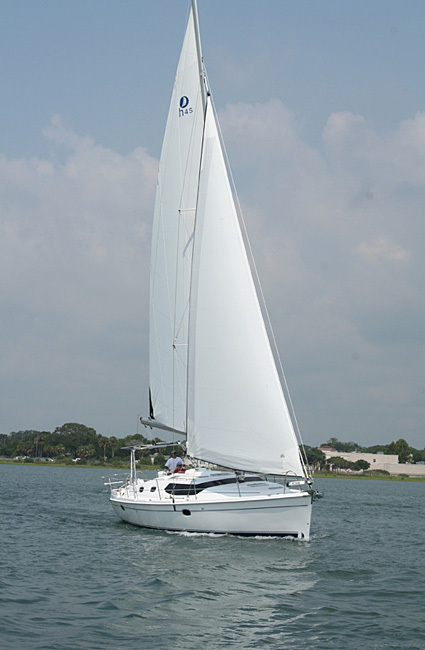 The large, T-shaped cockpit is well equipped to provide shelter at sea and sociable lounging at anchor. 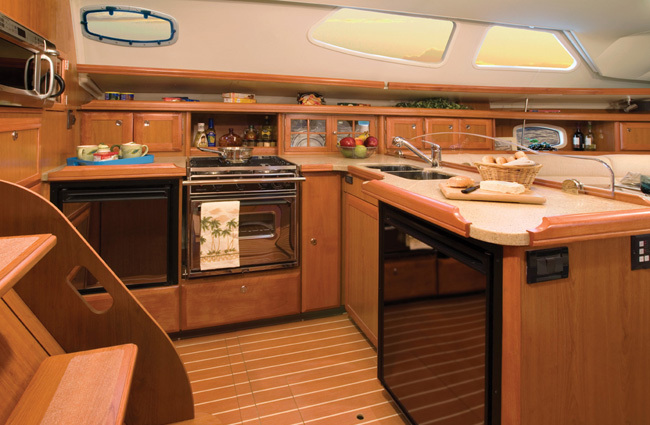 The galley size and amenities will enable you to create memorable meals from provisions held in the 45’s immense storage reserves. 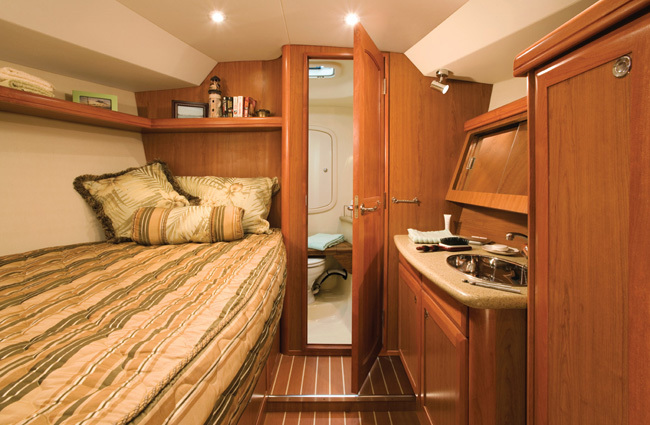 An expanded aft stateroom features a queen size berth, large hanging locker, storage galore and private access to the aft head. 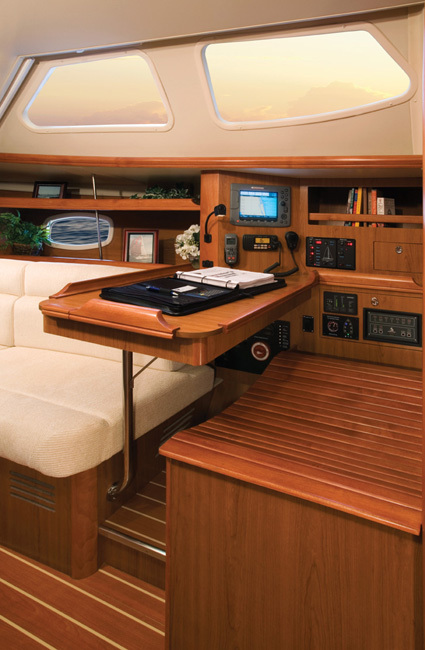 Opening hull and deck ports supply plenty of light and fresh air. 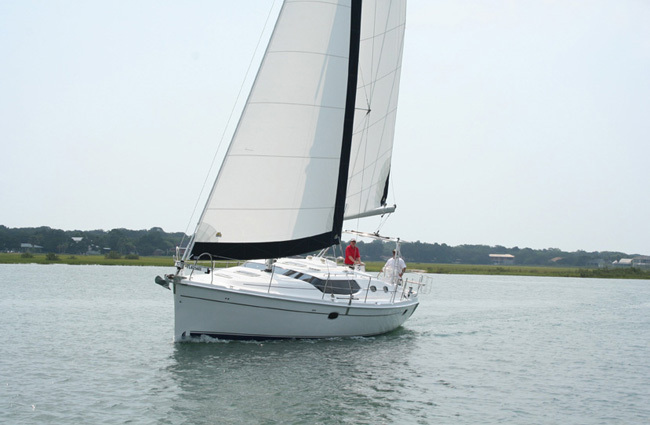 Forward, your guests will enjoy the Pullman-style cabin with a side mounted double berth and storage capacity for two. 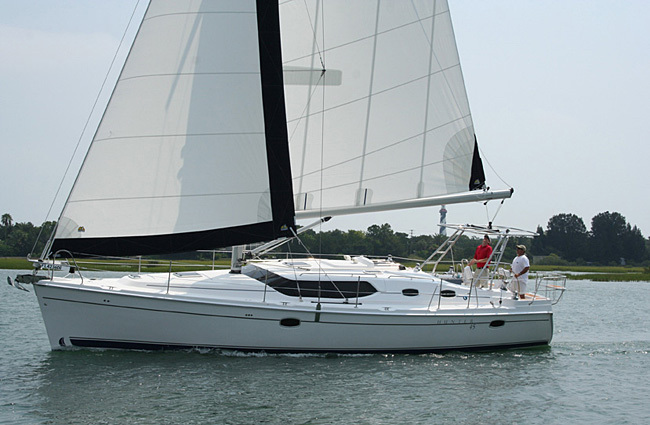 For convenience, the open vanity is separated from the private head and shower located in the forepeak. 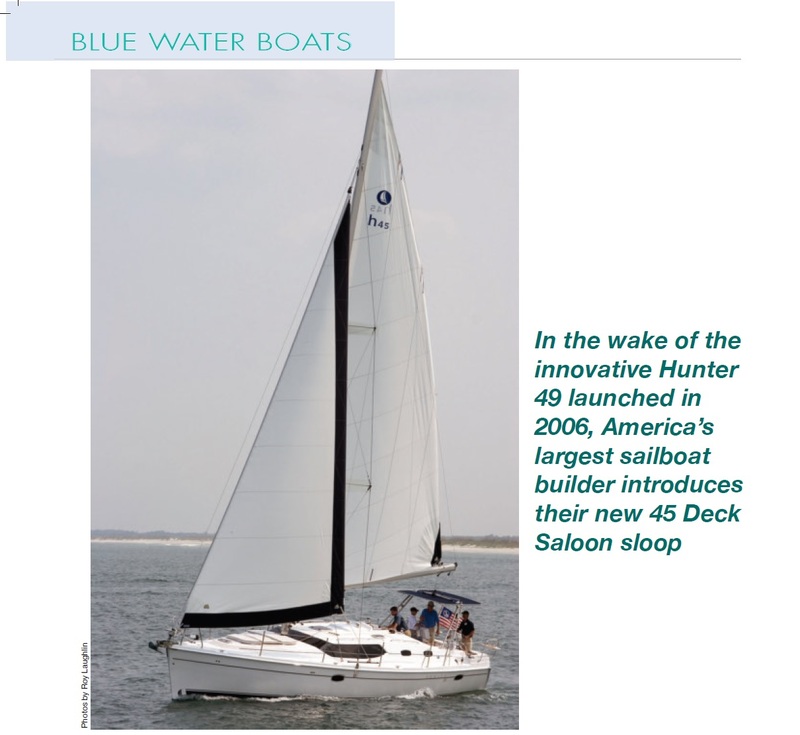 The Hunter 45DS combines the most popular of our design features to create a boat that will elevate your sailing enjoyment to a whole new level.